We appreciate your feedback about your support experience with SkyVerge, developers of Teams for WooCommerce Memberships. This helps us maintain high standards on the WooMarketplace, and helps SkyVerge improve. 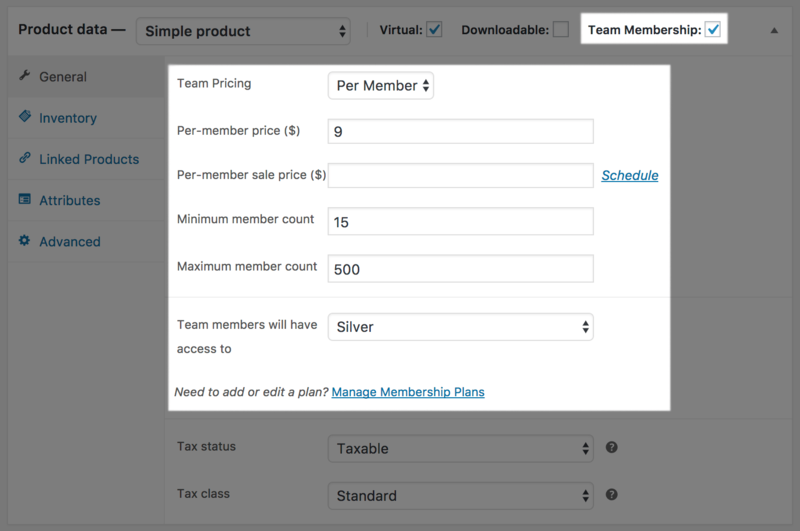 Teams can be sold via simple or variable products, and your customers can purchase a configurable number of seats (per-member, e.g., $15 per member), or require them to purchase in blocks (per-team, e.g., $1000 for 500 seats). Team accounts can be purchased on your site, and the purchasing process is as seamless as any other product on your store. 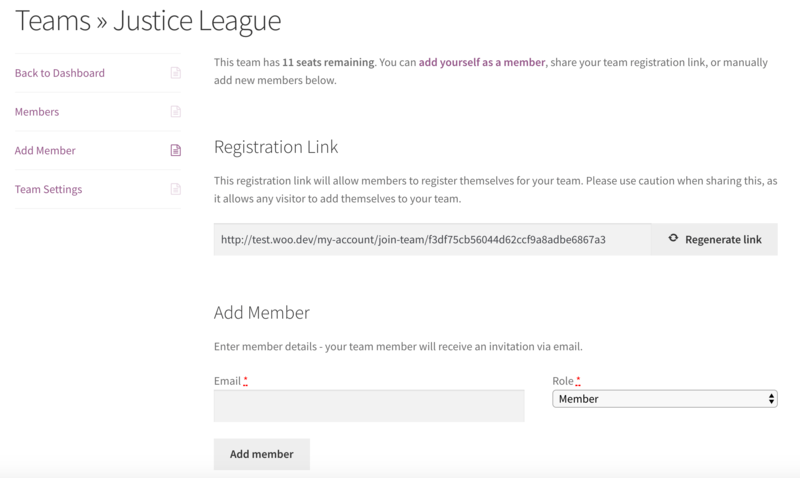 Once a team has been purchased, the owner can add new members to the team right from the account area on your site by sharing a public “join” link, or sending email invites. To help with managing team members, owners can even grant “manager” permissions to people on the team so they can help with inviting new people to the team. The best part is the entire team is tied to one billing record, so if the owner stops paying or gets a refund, the entire set of team memberships is cancelled. 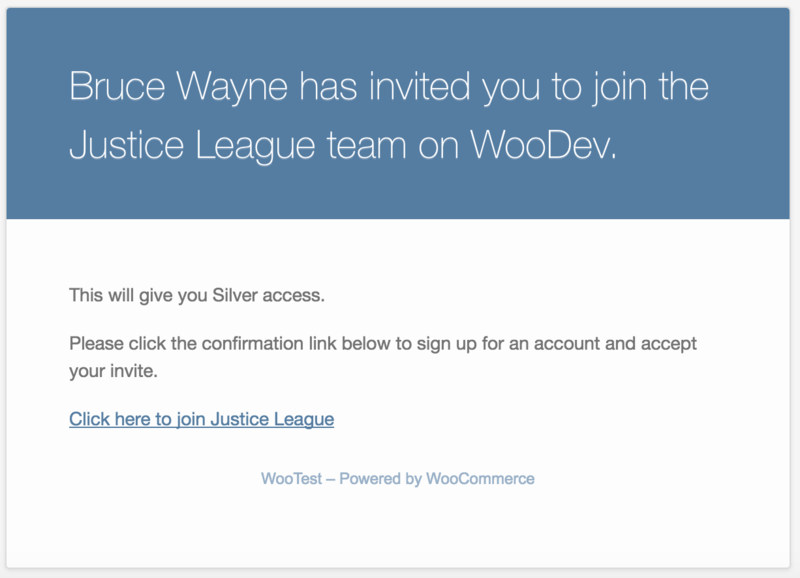 Only owners can handle purchasing, while sharing member access with anyone on the team. 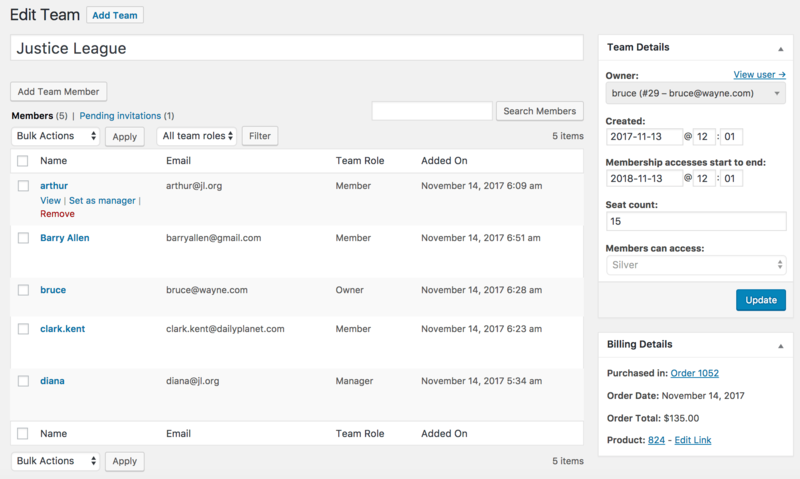 Not only can owners and managers add or remove members, but store admins can also manage a team. You can view a list of teams, or see a specific team in more detail. You can also change team attributes, such as the maximum seat count, or manually add or remove members from your site dashboard. 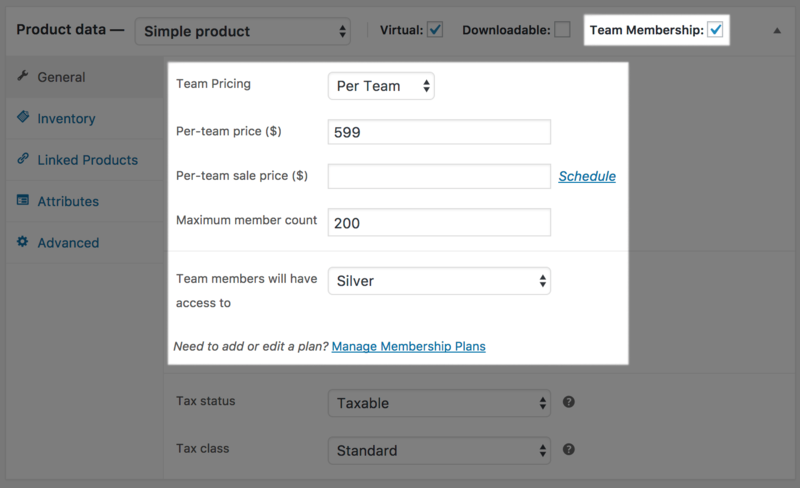 You can sell team access via simple or variable subscriptions, too. 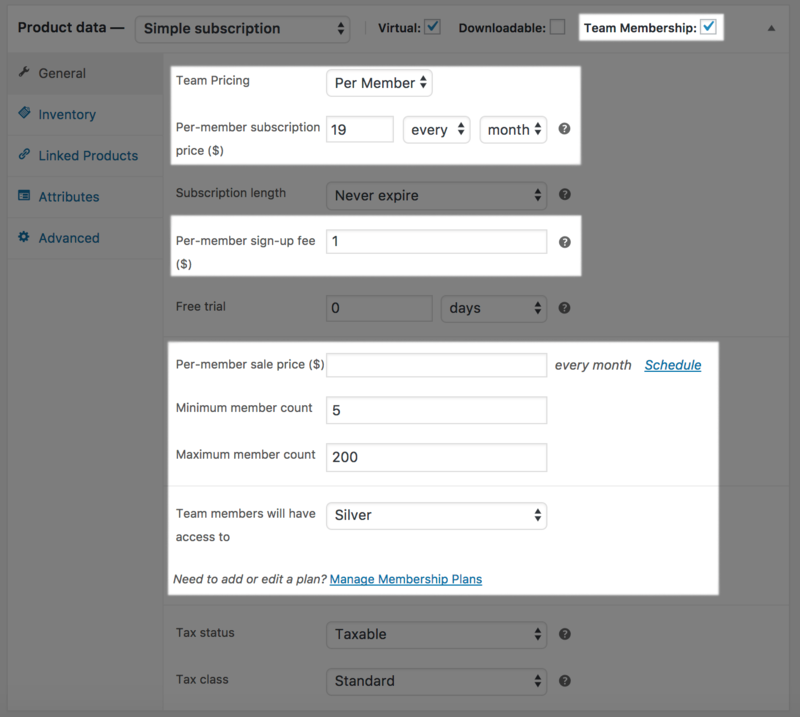 Per-member or per-team pricing can be applied to a subscription to provide recurring billing for your team. If the team owner stops or cancels a subscription, all team members will lose access as well. That’s it! Sit back and expand your membership sales to groups!